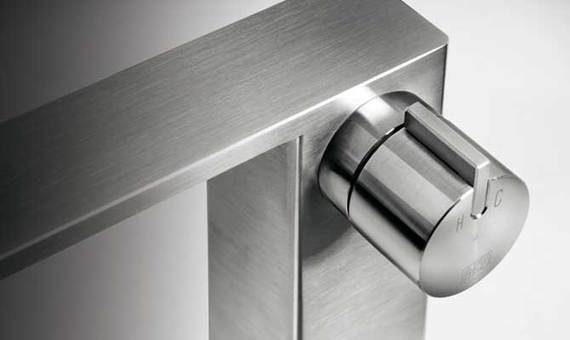 LifeSteel® evokes the aesthetic precepts of PlaySteel®, although with a substantial variation: the handle has become a particularly proportioned and ergonomic cylindrical element, in a lateral position. 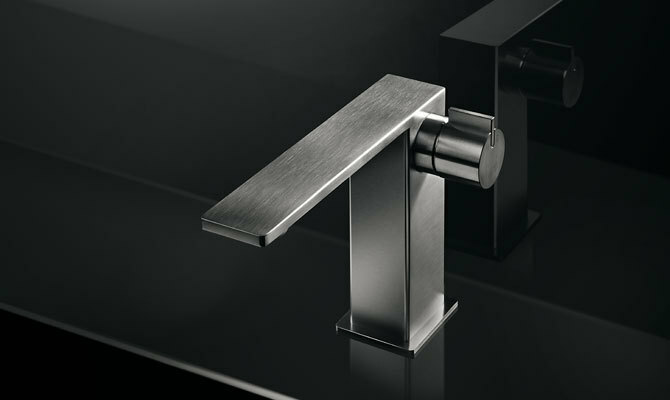 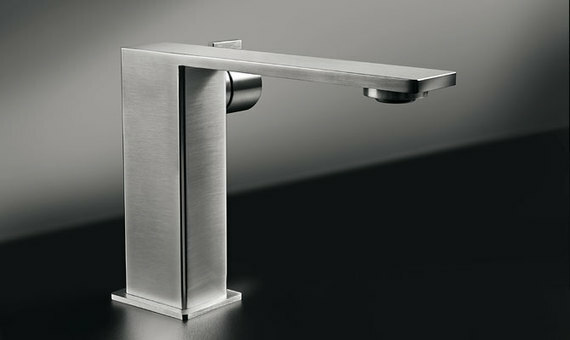 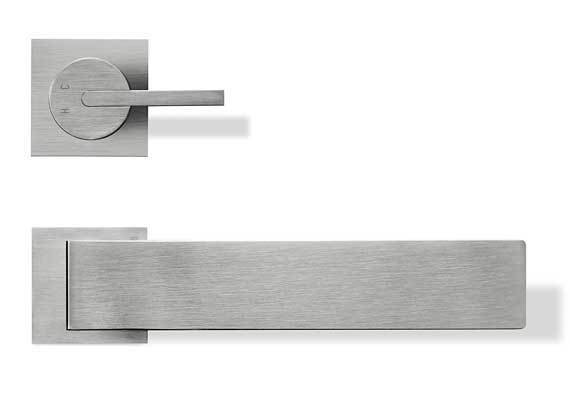 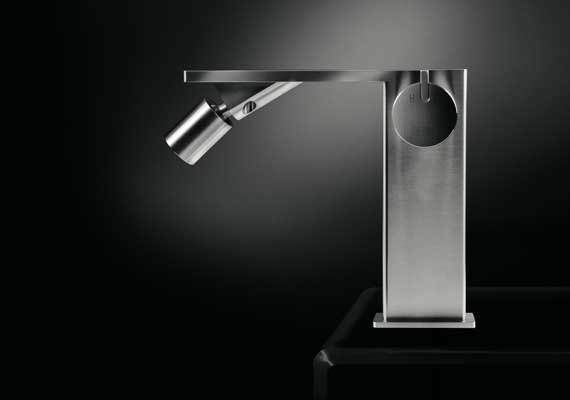 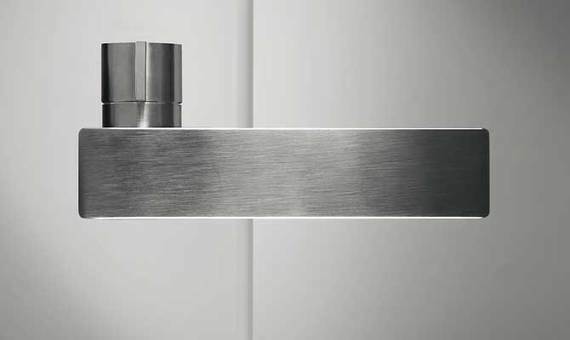 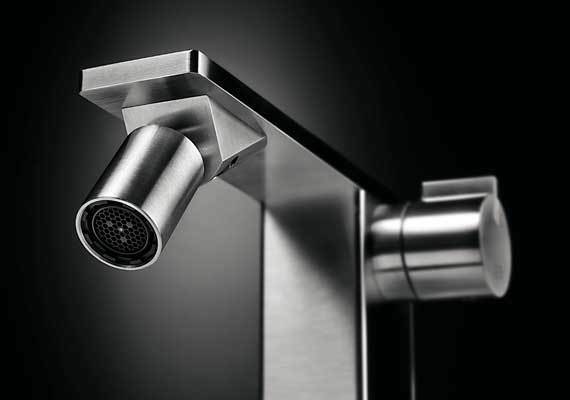 A choice that leaves the water spout completely exposed; an extremely captivating design for its purity and clean lines. 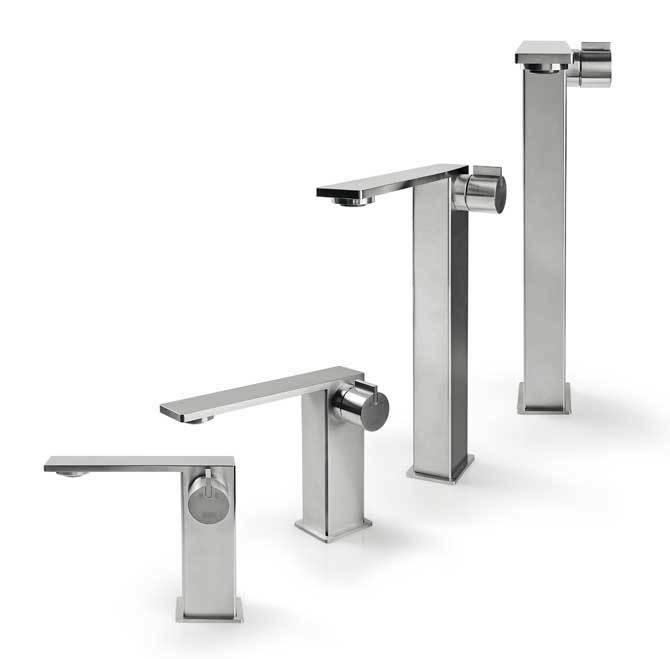 Each LifeSteel® deck-mounted mixer is designed to ­t perfectly with a speci­c wash basin. 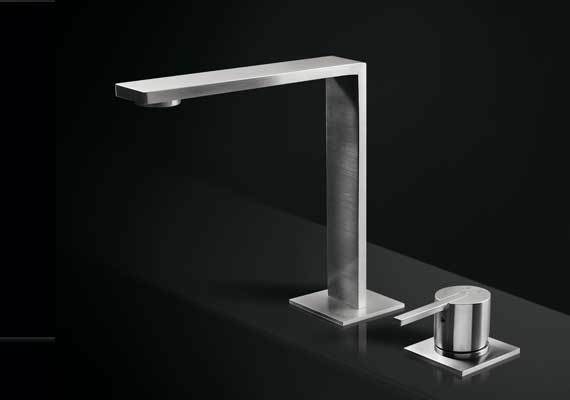 The XXL mixer, for example, should be combined with large washbowls. 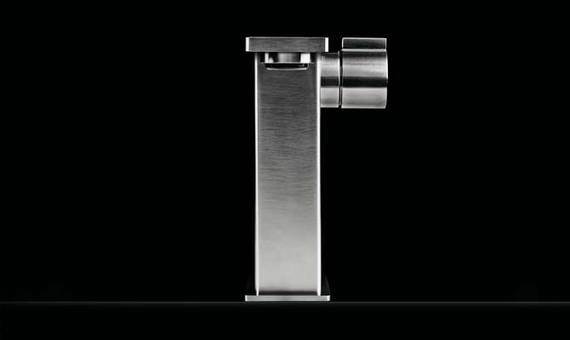 Bidet mixer, 133 mm high, center distance 134 mm long, without pop-up drain and hole for pull-rod.